If you need something a bit larger than your Smartphone to browse the web, read a book, or execute particular tasks for work, but don’t really want to pack your laptop along with you, a tablet is a great way to go. However, tablets can be a pretty expensive, additional device to purchase. You will be happy to learn that there are some very functional tablets that you can get your hands on for under $200. Our review will take a look at ten tablets under $200 in order to allow you to compare how various features and benefits are implemented in their design. Before we go into our review, we will help you build your knowledge base about tablet computers so that you will have better information for making your comparison. With those objectives in mind, let’s get started by answering some basic questions related to purchasing a tablet. Why do you need a tablet under $200? As was already suggested in the introduction to this article, a tablet is a computer that functions in the gap between a laptop and a Smartphone. 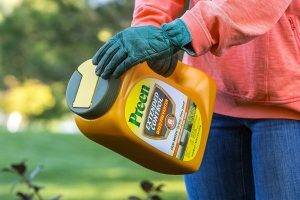 In general, you might need one for performing particular tasks for work, reading or for computing needs that go beyond what you are comfortable doing on a Smartphone, but you don’t want to carry around your laptop. More specifically, you might want to consider a tablet under $200 because their technology is moving so rapidly that they become out-of-date within a couple of years and you will be investing in a new one in short order. What benefits can you expect from a tablet under $200? Tablets make reading, playing games, browsing and doing basic working tasks much easier. They are more compact than a laptop, but are still more substantial than a Smartphone, especially if you consider the frustration of attempting to type on the touch-screen keyboard of a Smartphone. Tablets tend to be something of a hybrid between a laptop and Smartphone, having many of the benefits of both devices. What are some features to look for in a tablet under $200? These tablets resemble the slates, or small chalkboards, that children used in school in the first part of the 20th century. They range in size from 7” to 18”, but the most typical size is around 10”. Their larger size makes them better for tasks that require more precise screen manipulation or typing. These tablets tend to be in the 7” to 8” range, which makes them just a little bit bigger than the largest Smartphones. They are designed to be held with a single hand and aren’t as well adapted to more precise screen manipulation or typing. Essentially, these are slate tablets with an attachable keyboard to allow you more of a laptop feel when you need more precise manipulation of the device for more advanced tasks and actual work while you are on the go. As was just inferred, there are various screen sizes when it comes to tablets. The most common sizes range from 7” to 10”, though there are a few that push the size envelope a little bit. They tend to have a shape more like a television. Screens come in various pixel resolutions, the most common being 1280 x 800, but there are a variety of resolutions above and below that as well. Processor speeds are measured in gigahertz GHz. A typical tablet processor in a tablet under $200 will have a processor speed ranging from 1.2 GHz up to 2 GHz. There are two different types of memory to keep in mind: random access memory (RAM) and storage device memory (SD). The typical RAM of a tablet in this price range is from 1 to 2 gigabytes (GB). SD or storage memory tends to have a much broader range. SD memory ranges from 16 GB to 64 GB that are resident on the hard drive of the device. You can typically expand SD memory to 128 GB or even up to 256 GB. There are various operating systems used on tablets. These operating systems more or less follow the same lines as Smartphones dividing between Android and iOS, but there are additional operating systems often utilized, the Fire OS utilized by Amazon tablets is one example. The battery life on tablets is an important aspect of their portability. Like Smartphones, users tend to require a longer battery life between charges in a tablet. In tablets under $200 you can find battery life ranging from 7 hours up to 20 hours of use. Various types of batteries provide longer battery life and various tablets have better energy conserving functions. Most users want as much as they can get as long as it doesn’t cost a lot more. • Wireless connectivity. All tablets have WiFi connectivity, but higher rated versions will also have the capacity to connect to cellular data networks. • Ports. An advantage of a tablet over a Smartphone is the ability for it to have ports to attach other devices. Storage device ports, microphone and headphone ports, USB ports, even HDMI ports can be found on various tablets just like on a laptop. • Apps. The ability to download apps is one of the advantages that tablets have over laptops and which makes them more like a Smartphone. Make sure that the apps you want to use will work on the tablet you purchase. Being better informed concerning the various features and benefits of tablets in general, and more specifically, tablets under $200, you should be better equipped to make an educated comparison of the ten tablets that follow in our review. By comparing how the various features and benefits are implemented in the design of each of these products, you will be able to make a well-qualified buying decision when it comes time to purchase the tablet best suited to your needs and personal preferences. The RCA 10″ Viking II Pro 2-in-1 Tablet is a hybrid type tablet with a detachable keyboard and trackpad for those who need their tablet for a little bit more than just browsing the internet or reading. It has a good screen size with HD, decent memory for most applications and includes dual cameras. It is a very versatile and affordable option to keep in mind. • This tablet features a larger 10” display. • The detachable keyboard comes in handy for those who need their tablet for working. • Its battery life is a little bit better than your typical laptop. • The storage capacity on this unit is right along with the best. 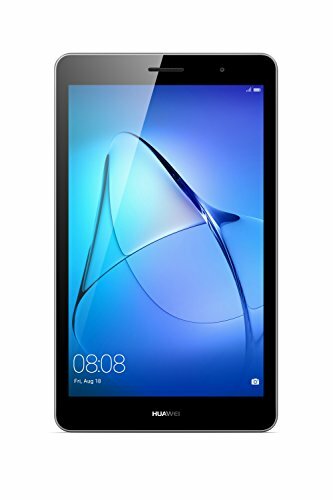 • This is the most affordable tablet on our list. • The RAM on this model is a little below the standard set by other tablets. • The speaker and cameras on this tablet are of lower quality. You want to use your tablet for work as well as play and are shopping on a budget. You might not be happy with some of its limitations when compared to others in its class. 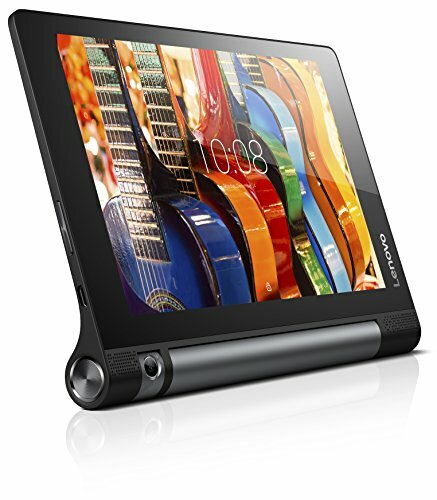 A standout feature of the Lenovo Yoga Tab 3 8.0″ WXGA ZA090008US Tablet is its rotating camera. This feature is nice because it only requires a single, higher quality 8MP camera. Besides having solid HD graphics in its display, it comes with Dolby Atmos sound in order to provide better quality when you want to watch a movie. It also comes with an adjustable stand for either horizontal or vertical use. • The high-quality QHD screen provides a better viewing experience. • Its Dolby Atmos speakers give it higher quality sound. • The single 8MP camera is better than most. • Being able to set this unit up on its stand is a handy feature that is overlooked on most models. • It has great battery life as well. • Its RAM isn’t quite up to the new standard. • Its software is a bit behind the norm. • It is overpriced for its class range. You tend to use your tablet to watch a lot of movies and want the convenience of the stand and the higher quality display and sound. You might find that it will be out-of-date sooner than other models. 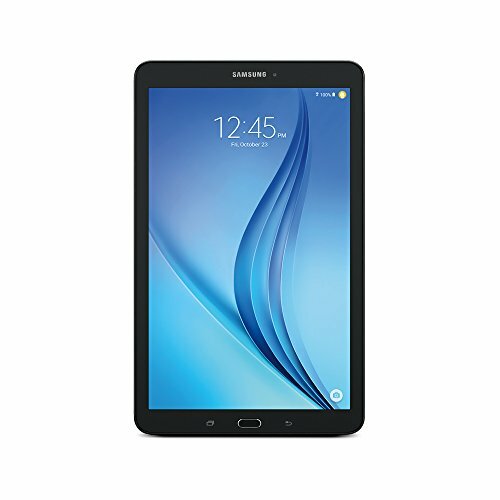 For those who have other Samsung devices, the Galaxy Tab A SM-T350NZWAXAR is a logical choice given its Side Sync 3.0 Quick Connect compatibility. 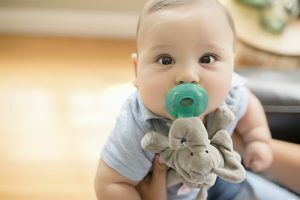 It comes with a kids mode to help keep your kids safe whenever they are using it on the web. You can run two apps at the same time making use of multi-window function and it comes with dual camera for taking photos and videos, or for video chat. • The 4:3 screen aspect ratio is one of the best features on this tablet, making it seem like a little larger 8”. • Its slim design makes it more convenient to carry. • There are some solid performance features with its multi-window and Side Sync capabilities. • It has pretty decent battery life. • Its RAM is under the new standard. • Its audio is a little bit weak. • It is overpriced compared to other models in this class. You own other Samsung devices which you want to sync and like the smaller size of tablet. You might not be happy with its overall value delivered for its price. Faster processing speeds and ultra-thin design are highlights of the Huawei Media Pad T3. This tablet is constructed of a single piece of anodized aluminum for durability. It comes with a crisp IPS HD display, dual cameras and is also a lighter weight option. It comes with Huawei’s customized operating system for greater convenience as well. 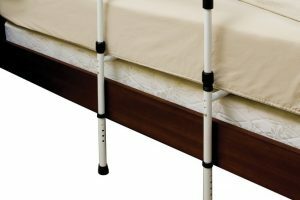 • The durability of a single form case is a great positive for this unit. • Its processing speed and RAM are up to the new standard. • The display quality of this tablet is competitive among those in its class. • It is lightweight and ultra-thin to make it more convenient to carry. • It is moderately priced to fit most budgets. • The storage memory on this unit is a little bit behind the standard. • Its battery life is good, but not quite up there with others in its class. You would like a high quality, durable and easy to carry tablet at an affordable price. Its battery and storage capacity might not meet your requirements. 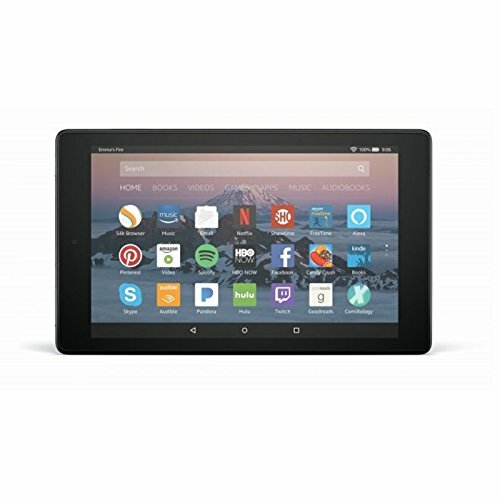 An affordable option with plenty of great features comes in the form of the Fire HD 8 Tablet. Its HD display and Dolby Audio make for an enhanced experience when watching movies and videos. It comes with Alexa programming allowing you to use it hands-free for making calls or accessing information. It comes with RAM and processor speeds that are up to the new standard as well as higher-end storage memory. • This unit has a high-quality build and design. 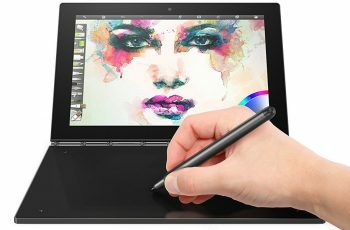 • Graphic and sound performance on this tablet is of higher quality than many. • RAM and storage capacities are up to the new standard. • Integration with Prime is second to none. • Very affordable given its built-in value. • The battery life on this unit could be a little bit better. • It only features a single 2MP camera. You are looking for something that goes beyond your old Kindle reader and comes at an affordable price. You could be disappointed in its camera and the life of its battery. You are getting a lot of screen size for the money with the ASUS ZenPad 8 Android Tablet. The screen to body ratio on this tablet is 76.5%, giving you the most screen possible in its compact lightweight and ultra-thin design. It comes with a rich HDTV experience with ASUS VisualMaster optimizing, providing a more realistic visual display. High resolution photos and video are possible with the dual PixelMaster camer setup as well. • The higher screen to body ratio allows for a more compact case without losing screen size. • Its RAM and storage memory are up to the new standard among tablets. • It has decent processor speed. • The higher resolution screen graphics and optimization are an added positive. • Moderately priced to fit most budgets. • The battery life on this tablet leaves a little something to be desired. • Its WiFi connectivity is only so-so at times. You are looking for an affordable tablet in a compact design with solid features. Its shorter battery life and WiFi connectivity issues might be major drawbacks for you. If you liked the Galaxy Tab A, but want a little bit larger display, then the Samsung Galaxy Tab E might be the answer. This tablet features a HD WXGA display with solid resolution. It utilizes dual cameras with 4x zoom and 1280 x 720 @ 30 FPS video recording. It easily syncs to Windows media player and moving from one app to another is relatively seamless. Its wider screen is better for watching movies and videos. 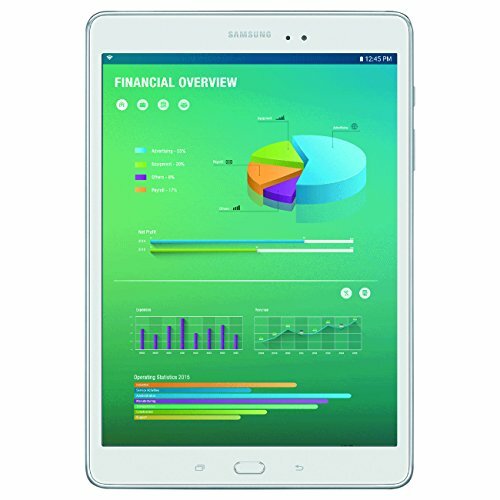 • This tablet has a solid build and design, which is a Samsung trademark. • It works well for changing between apps and syncing with Windows media player. • The display and graphics on this unit make it good for watching movies and videos. • It has great battery life. • It is affordably priced when compared with others of its class. • The weakest point on this tablet is its 1.2 GHz processor, which is a little below the new standard. • Its RAM and storage memory levels are not quite up to the new standard. • The speakers on this tablet leave a little something to be desired. You want a larger screened tablet backed by a well-known electronics manufacturer with plenty of solid features. The lower processing speed, RAM and memory storage might be out-of-date sooner than with other models. The Lenovo Tab 4 moves the bar up a little bit higher than the tablets we have already discussed. It has brilliant HD display and excellent Dolby Atmos sound quality. 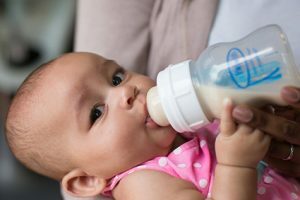 It is well built for sharing within the household with shock-resistance and kid safety features as well as multi-account functionality. It includes a screen filter to help block out blue-light. It comes with WiFi and Bluetooth compatibility and a single rear cam. It has lightweight, crisp and clean design with universal appeal. • This tablet has a solid and durable build design. • Multi-user functionality is handy in a household that might only have a single tablet to share. • Its sound and display are of high quality for a better experience with movies and videos. 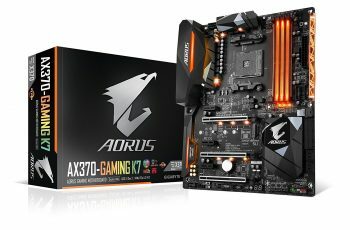 • Its RAM and processing speeds are up to the new standard. • Its overall performance is among the best. 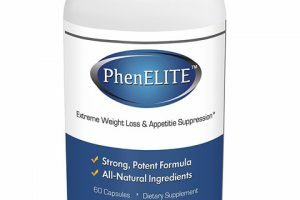 • It is pretty affordable given its numerous positive features. • It lacks dual-band WiFi. • Also lacking is the dual camera option and the single camera is mediocre. 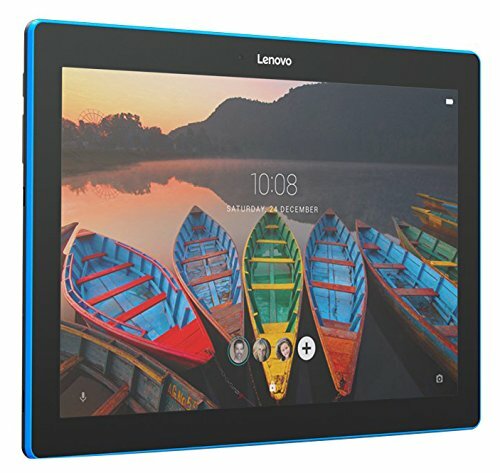 You are looking for a durable tablet that can be shared by several members of the family and has plenty of solid performance features. The camera features on this tablet might be a drawback if you are really into selfies and video chat. The performance of the ASUS ZenPad 10 places it toward the top of our list. Its high quality WXGA IPS display with ASUS TruVivid technology is a major improvement in your visual experience. It comes in a slender and light casing with an attractive simulated leather finish. More than 1,000 enhancements like ZenMotion, SnapView and Kids Mode are available with this up-to-date Android OS tablet as well. It also features dual PixelMaster cameras for better quality photos and videos. 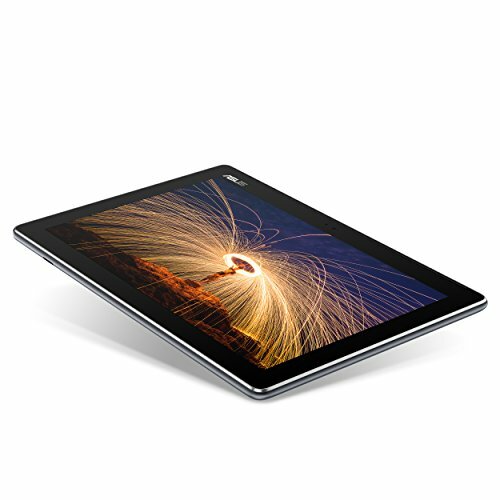 • This is a well-built and durable tablet that is slender and lightweight. • You get extensive software capabilities with this unit, which runs on Android OS 7.0. • It has a solid processing speed. • RAM is at the top of the list for tablets of its class. • Dual cameras with PixelMaster technology. • LTE support and GPS are additional positives. • The actual onboard storage memory of 16GB is a little low and moving up into the next class will push you over the $200 mark. 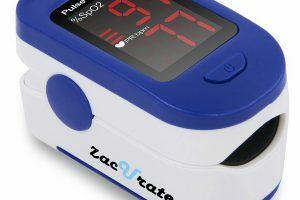 • The short battery life in relation to its charging time is a little inconvenient. 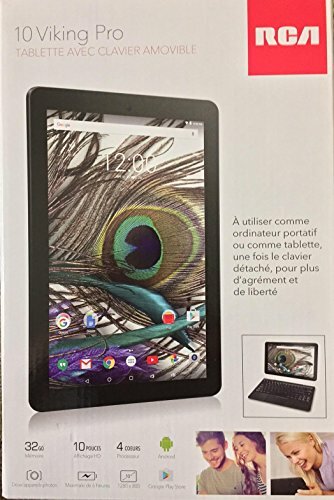 You are looking for a higher-end tablet that barely slips in under the $200 mark, but with many of the features of those in the next class up. The charging time to battery life and onboard storage memory might be turn-offs to many users. Topping out the list with a full 10” HD display and plenty of guts to back it up is the Fire HD 10 Tablet. This tablet sets the standard for both RAM and onboard storage memory in its class, but it is its 1.8 GHz processor which really sets it apart from the competition. Dolby audio enhances the sound quality of this tablet and it also has dual band WiFi for a better online experience. Alexa is another feature on this unit, which offers hands-free operation. It has Fire’s top-end operating system allowing you to access plenty of apps. • The solid and durable casing and its ultra-thin, lightweight design are positives to keep in mind. • It has the highest processor speed of the tablets in its class. • Its RAM and onboard storage memory lead the class as well. • This tablet has very sharp video display and high quality Dolby audio for enhanced movie and video watching. • Dual band WiFi for a better connectivity experience. • Alexa, hands-free interface comes standard. 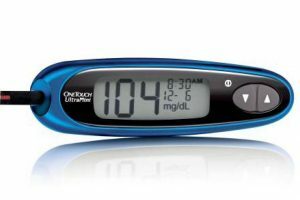 • It is still pretty affordable given its features and capabilities. • It has low resolution cameras. • It does not have Google Play Store apps. 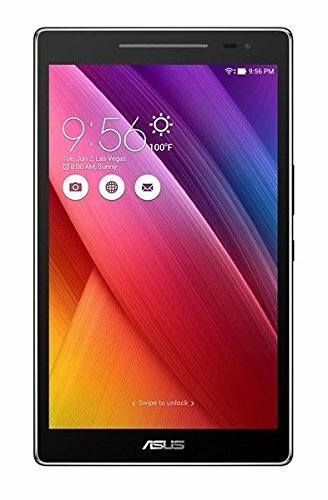 You want the top tablet among those under $200 with options and features that belong in the class above. You might not be thrilled with the cameras and lack of Google Play Store apps. 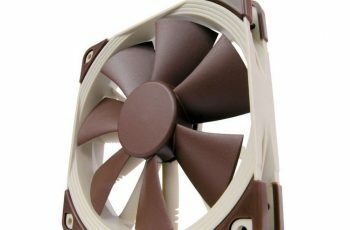 10 Best Case Fans for 2019 – Keeping Your Desktop Computer COOL!! !